Tired of doing your laundry? For just the cost of wash & dry time! Tired of wasting money and time drying your clothes? 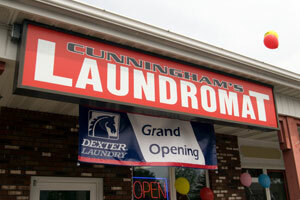 At Cunningham’s, our dryers are the hottest and fastest you can find anywhere! 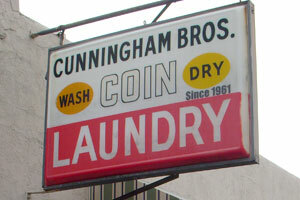 Take the challenge for yourself and see why @ Cunningham’s, for 50 years, we know clean & value! Our customers agree and say it is worth the trip! Our high efficiency equipment isn’t the only earth friendly components of this Laundromat. 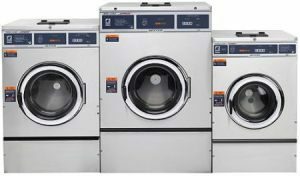 In efforts to further decrease our carbon foot print, Cunningham’s Laundry, has installed ultra bright T-8 bulbs with super fast digital ballasts on timers, which gives our customers the brightest, safest and cheerful laundry around. Need to dry your hands? A hot-air dryer in the bathroom will satisfy your needs. No paper waste in this laundry!